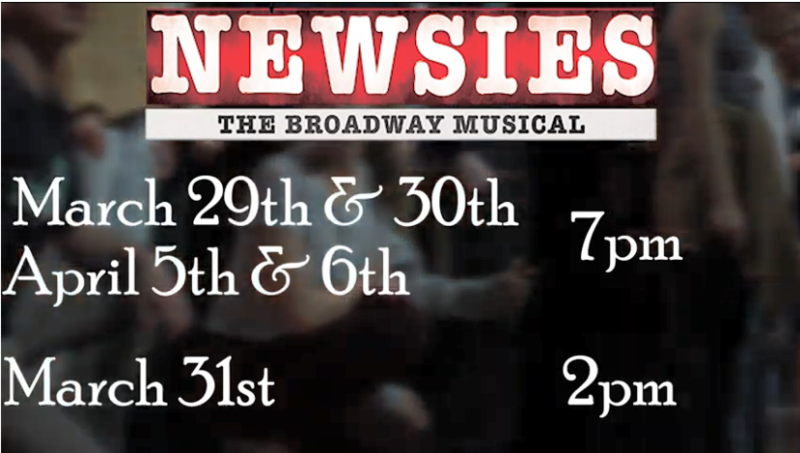 Knights Theatre Company’s spring musical – Newsies – opens up next weekend, March 29th-31st, and April 5th and 6th, and we wanted to personally invite you all to see these amazing young performers! 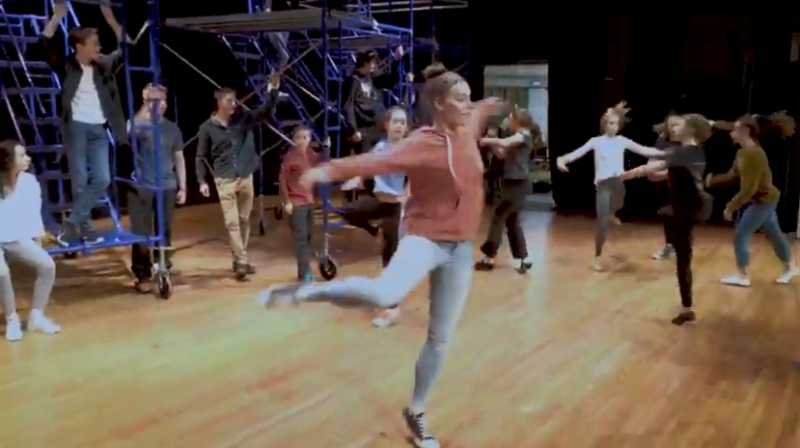 Enjoy this video promo made by some of our tech crew members, Kyle Furlani and Ethan Hallas. Just a little teaser for what’s in store! You won’t believe what these kids are doing. We are truly amazed….they are doing high level theatre! If you would like to see more promo videos, they are posted on YouTube!